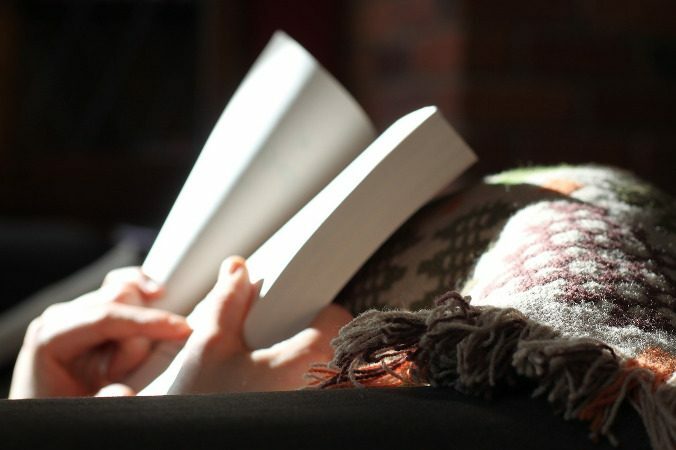 With seven children, how do you find time to read so much? How do you find time to write? What do you think of the Harry Potter books? Why do you give your books away on the web? Why don’t you “get them published”? Do you base any of your characters on people you know? I’m a writer too! Could you tell me how to get my work published? I love your hair! Is that your natural color? So many people have expressed wonder at my ability to read voraciously and write novels while managing a large family that I feel I should address this issue straightaway. To be honest, I’m always surprised when someone asks me this question. No one thinks of asking a mom-of-many how she finds time to cross-stitch a beautiful wall hanging, or to direct her church choir’s Christmas program, or to manage a PTA fundraiser, or to volunteer in her children’s elementary school, or to organize a yard sale, or to sew matching outfits for herself and her daughters, or to coach her child’s soccer team, or to maintain a large garden, or to homeschool her children, or to oversee the building or remodeling of her home, and yet these are all activities that require a great deal of time and organization to accomplish. For some reason, people expect moms with lots of kids to do the sorts of things listed above, and they wonder how a mom-of-many has time to read and write novels. How do I do it? Simple! I’ve never done any of the things I just listed. I set aside time for reading and writing in the same way another woman sets aside time to make quilts or raise flowers or serve as an officer in the PTA. Specifically, I start by going to the library several times a month when my daughters have their piano lessons. This is a convenient arrangement because the largest library in the county is across the street from where the girls take their lessons. My county has an excellent library system, and except for scripture and material for religious study, I get nearly every book I read through it. The books I read generally fall into four categories: novels, research for my current writing project, writing instruction, and homemaking. Once I have a stack of books, I pick one up to read whenever I sit down, and even sometimes when I’m standing, such as when I’m in the kitchen watching something cook. If my husband wants to watch a football game, what do I care? I sit with him and read. When we want to talk, it’s easy enough to put the book down. I also read a lot when I’m cuddling my young children or watching them play outside. (Guess what? My vegetable and flower gardens are very small!) I also carry a book around when I go places. During my pregnancies, I didn’t write at all (my creative vision went completely black), but I did read. I read and read and read, because I didn’t have the energy to do much else! My prime writing time has always been weekday afternoons, while my young children nap. During the school year we get up at 5:00 a.m., so I have plenty of time in the mornings for housework, shopping, accounting, appointments, and everything else. This isn’t as difficult to accomplish as it sounds, because my house is not large and my kids do most of the day-to-day housework such as picking up, vacuuming, dishes, and setting/clearing the table at mealtimes. They even do a lot of the laundry. I shop because I have to, not for pleasure, so I organize my trips well and don’t go out if I can avoid it. As long as I don’t succumb to the temptation to sit down at the computer when I should be working, my home and my life stay orderly enough. I reserve my evenings for my husband, but if he has something else to do, I write during those times as well instead of watch television. Day after day, week after week, year after year, the time adds up and finally, I have a finished novel! Now that I live in a different community and my children are all either gone or in school, my schedule has changed somewhat. Even though I don’t have children at home with me during the day, the work of managing a home and family doesn’t stop. I still can’t allow myself more than a few hours a day to write, which means that my prime writing time is still on weekday afternoons. I don’t go to the library every week, but I do read more on line and download books to my PDA. And yes, now that I have a little more time during the day, I’ve been able to occasionally volunteer at my children’s schools, so that’s one thing I can cross off of my “never done” list! Often people ask me whether I “approve” of a particular book. Unless the book is one on my personal list, this is a question I evade. I’m not the wholesomeness police. I won’t comment on a book I’ve never read, and I don’t feel comfortable publicly bashing books and authors. Furthermore, I have no desire to tell anyone (except my minor-age children) what specific material they should or should not read. In a free society, adults make those decisions for themselves. In encouraging people to read wholesomely, I hope to give everyone (myself included!) tools to make better decisions. Let’s face it—not one of us is perfect. We can all improve our reading choices in some way. I can’t tell you how many times I’ve finished reading something and regretted it for one reason or another. I’ll also confess that I’ve often put off and even neglected reading things I should, such as the newspaper. Improving our reading habits is a lifelong process, and we’re all in this together. I hope that by focusing on the positive and being tolerant of your choices, you’ll be tolerant of mine! This is a question I’ve been asked often over the years. Because of changes in the publishing industry that allow independent writers like me to publish and sell their work more easily, this question has almost become archaic, and yet my answer now is similar to what it was in the 1990s. First of all, any material that has been distributed to the public has been “published.” By making my work available on the web, I’ve published it. When people ask this question, they’re really asking, “Why don’t you have one of the big commercial print publishers put your novels into books?” Most readers and new writers think “getting published” is a simple matter of sending a manuscript to a publishing company who will then put it into a book that will soon be available at their local bookstore and library. Unfortunately, the process isn’t nearly that simple or easy. I’m different from most “published” authors in that writing is my hobby, not my job. Don’t misunderstand me. I consider literature an art and work hard to write well. I am, however, a stay-at-home mom by profession, and writing is something I do for fun, not a paycheck. This is an important distinction. Part of the reason I consider writing fun is because I can write whatever pleases me and my core readers without regard to what publishers think is salable or critics believe is skillfully done. Without that freedom, I wouldn’t write novels at all. I just don’t need the money badly enough. My goal for publishing has always been to get my work to the audience that will most understand and enjoy it, and the Internet has long been an excellent medium for accomplishing that goal. And, of course, giving it away instead of selling it also greatly expands my prospective readership. In 2018 I will begin publishing the novels on commercial sites in both print and electronic formats as another way to further meet my publishing goal. This is a complicated question, because the creation process is a complex one. The answer is no . . . and yes. I suppose the process is different for every writer, but for me, the foundation of my novels is the plot, and the personalities of all my characters are based on the roles they play in the story. For example, Trendaul Alexander has to be an indecisive person or his story would end too soon. Cameron Carroll can’t be a reckless rebel if he’s to be a credible bishop, but he can’t be too mature and sedate if he’s to be a credible twenty-year-old. The story roles establish the characters’ parameters, and as the story evolves, I begin filling in details and delving into motivations. If I can glean a story detail from my own life, it’s one less thing I have to research. Since I have no desire to embarrass anyone I know, the details I use are always innocuous. Even then, any personal detail I use has to make sense in light of the story. I am, after all, writing fiction, not autobiography. In the broader aspects of character and plot, everything I observe among the people of my acquaintance is a potential story idea. I’ll confess, though, that I’m as affected by things I read as I am by things I observe. I recognized as I was finishing Fall to Eden that the storyline dealing with Ben’s pursuit of Sara had been unconsciously motivated by the stories I’ve encountered that untruthfully portray these kinds of relationships as harmless and even beneficial. At some point during the story creation process, the characters begin coming alive to me and I think of them as real people. Sometimes this happens immediately, and sometimes it takes a long time. When a character comes alive, he or she starts transforming the plot and sometimes even transcends the parameters I had set for him or her. By the time a novel is finished, the characters have undergone a metamorphosis that renders them part story role, part research, part concrete experience, and part personal vision, both conscious and subconscious. Then my editor reads the novel and gives her insight into the characters, which refines them even further. Despite the fact that I’m not the most prolifically published writer around, I do get this question sometimes. I only have a few basic tips. Publishing options have changed so dramatically over the last couple of decades that you’ll have to learn the details on your own. Read and Research: Writers love to write, and they especially love to publish what they write, which means that a trip to the public library will probably provide you with a huge stack of books about writing and publishing. Read them! Read the magazines geared to writers. Attend writers’ conferences that apply to your particular field or genre. Search for web sites targeted to writers. Follow the advice that makes sense to you in light of your own goals. As important as this writing research is, it’s also important to read widely. Make it a goal to increase your knowledge in a variety of fields. Everything you learn will make you a more interesting person and give your writing more depth. Target and Focus: You will save yourself a lot of time and grief if you identify your audience before you write one word. A political candidate would not present the same speech at a dinner with business leaders that he would give to an assembly of college students. By the same token, a writer is not going to be as effective if he doesn’t target his work to a particular group of readers. Identify the field or genre you want to crack and learn the rules for it. Study the current edition of Writer’s Market, a book widely available in the reference sections of libraries across the United States. Read, read, read books and magazines from your chosen field or genre to learn the voice, style, subject matter, and audience of any publication or publisher you believe is a viable target for your work. Read their guidelines for writers. Without that knowledge, you will have a difficult time writing something suited to the publisher’s needs. Practice and Polish: Learn the rules of good writing and practice them. When you read something that is written particularly well, study it and determine the methods the writer used. Above all else, keep writing! Each one of my novels took hundreds of hours to write. I couldn’t have finished them had I not scheduled regular times to write. Spend as much time rewriting as you do writing. Find a knowledgeable person to read your work and critique it. Listen to what that person has to say and don’t argue when he points out flaws. Yes, your work will have flaws—always. If your reader doesn’t see any flaws in your work, get a new reader. Use the information you glean from these critique sessions to re-envision your work, and then get busy rewriting. In the polishing stage, read your work aloud and rework any sentences you stumble over. Be Professional: Follow the rules for manuscript submission. If you don’t know the rules, go back to Tip 1: Read and Research. Once your piece is accepted for publication, don’t be offended when you’re asked to revise or even rewrite it. That’s part of the process, and if you aren’t willing to do it, you aren’t ready to be a published writer. Thank you! Yes, it is my natural color. My hair used to be very dark brown. My first “white” strands of hair appeared when I was a teenager.